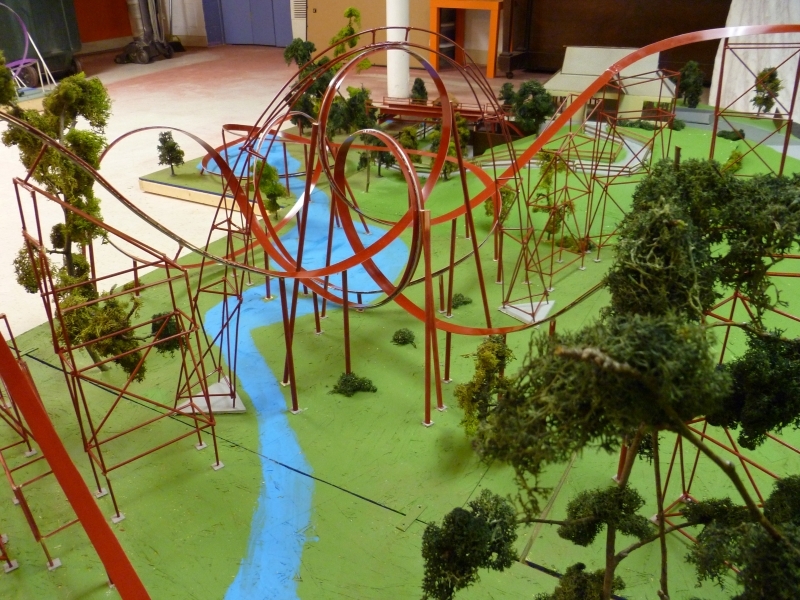 This was the first "Project 31, the Roller Coasters of Worlds of Fun, 1980" model. 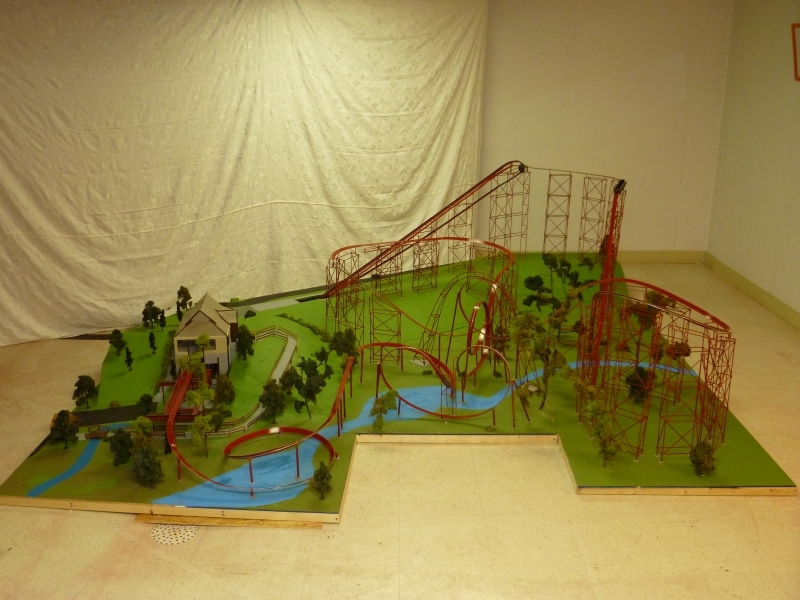 The Orient Express ran at Kansas City's Worlds of Fun theme park from 1980 through 2003. 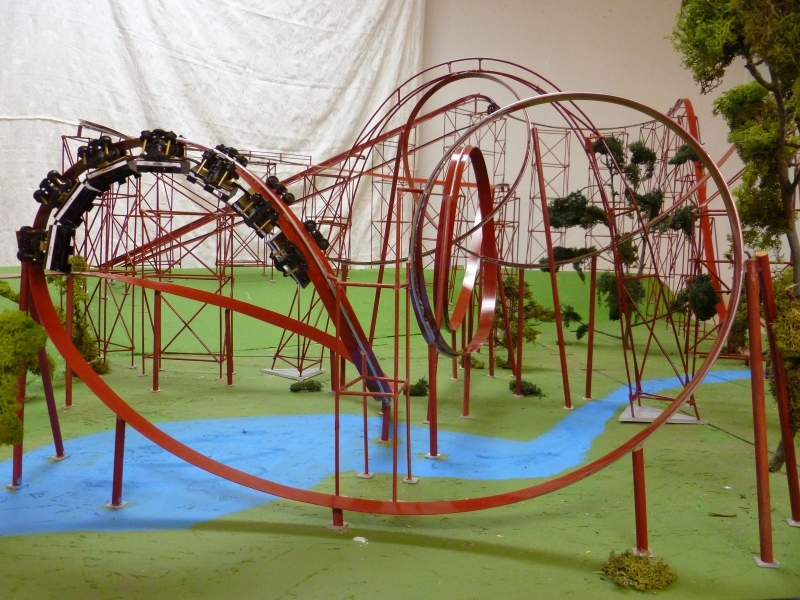 This was a challenging model to build, and though not "exact" it is within scale feet of the actual Orient Express roller coaster and near perfect in layout and heights. 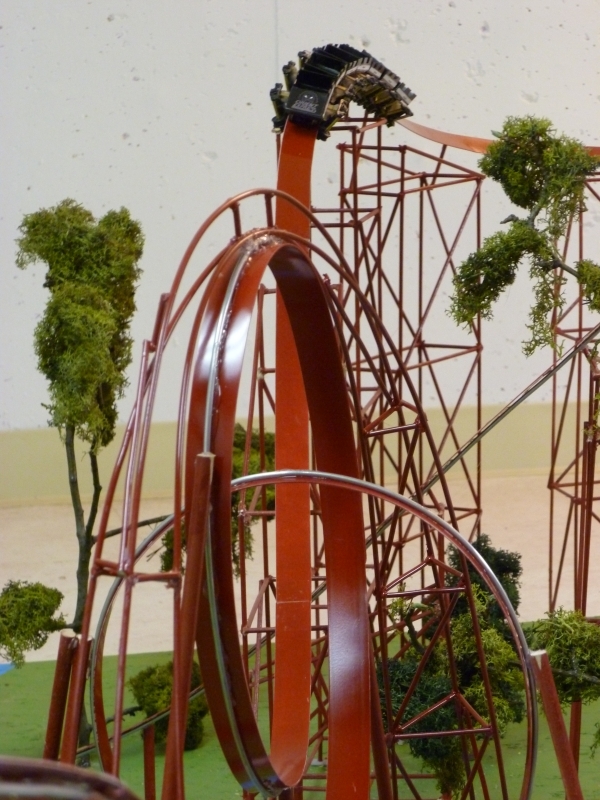 It is bolted together in 5 sections so it can be transported. The track has 6 joints to connect the 5 base sections.